How well do you see color? Try the free online color IQ test to determine if you are 1 out of 255 women or 1 out of 12 men that have some form of color vision deficiency. How to delete/drop/select all the tables from SQL Server Database? I stumbled on a thread at MSDN titled “How to delete/drop all the tables from SQL Server Database without using Enterprise Manager?” when trying to look for a way to drop all tables from a SQL server database. Some caveats, like referential integrity rules and foreign keys references will have to be kept in mind when attempting to truncate data. Also, some of the changes can not be rolled back. 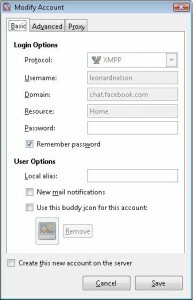 Earlier this month Facebook announced that their chat feature now supports XMPP (Extensible Messaging and Presence Protocol). What I truly appreciate about Facebook’s support for XMPP is how they have integrated the Friends Lists to selectively decide which friends show up online.